Highways England has insisted that it has robust processes to deal with individuals deliberately disrupting the strategic road network (SRN) and other unplanned events following the Gatwick drone incident. Just before Christmas Gatwick Airport was closed for more than 36 hours because of reported sightings of drones, which transport secretary Chris Grayling described as ‘deliberate’ and ‘criminal’ although no perpetrators have been identified. 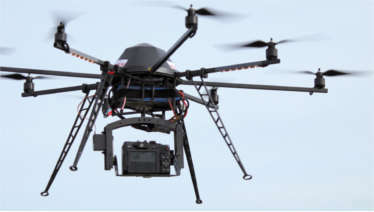 Drivers on the SRN have recently suffered delays caused both by deliberate acts and as a result of police operations and the Gatwick incident raised the possibility that individuals with drones could deliberately disrupt the network. In January, the M6 was closed for several hours in both directions after police and immigration officers detained people in a lorry. In late September 2017 there were two incidents within the space of a week where suspicious objects caused the M1 and the M3 to be closed for hours, leaving drivers trapped for long periods. Following these recent events, Transport Newtork asked Highways England whether and how its approach has changed since the 2017 incidents, including keeping drivers informed. Work to achieve a 'step change' in managing disruption remains 'ongoing', a Highways England spokesperson said. ‘We have robust processes in place for dealing with unplanned events. These can be anything from a road traffic collision, to severe weather, to something not on our network that is impacting on journeys. We have arrangements in place to work with the police and other organisations to understand various threats, to protect against these threats, and to respond to any incidents that occur,' the spokesperson said. In September 2017, following the M1 and M3 incidents, Anthony Smith, chief executive of watchdog Transport Focus, called for an urgent review of the way drivers are kept informed and looked after during suspected terror incidents on motorways. The Government-owned company told Transport Network that work with the police is ongoing and about integrating two initiatives - CLEAR (Collision, Lead, Evaluate, Act, Re-open) and JESIP (Joint Emergency Services Interoperability Principles). This specific work is due to be completed in 2019. Highways England said its regional teams of traffic officers are already working with CLEAR and taking part in joint JESIP training. While CLEAR aims to reduce the time taken to re-open motorways following an incident, and can be seen as the conversation between agencies, Highways England described JESIP – a government initiative dating back to 2012 – as ‘the way we have the conversations’. Highways England said it is right to keep CLEAR under review and that it is working with the Home Office, the National Police Chiefs Council, the National Fire Chiefs Council, the Association of Ambulance Chief Executives and the Department for Transport to identify how the organisations can collectively reduce incident clearance times as well as looking at improved ways to clear trapped traffic. This is work in progress.